Getting out of bed early isn’t awesome, but this breakfast recipe from the new book Vegan Bowl Attack! by Jackie Sobon of Vegan Yack Attack IS! Bowl food. It’s the latest craze! But while I was creating a Pinterest board for vegan bowl food, Jackie Sobon went ahead and created an awesome cookbook. Darn it! 🙂 Actually, I LOVE this cookbook. It is filled with more than 100 one-dish, plant-based bowls that everyone can enjoy, vegan or not. They’re hearty, nutritious and delicious, and sure to please anyone. 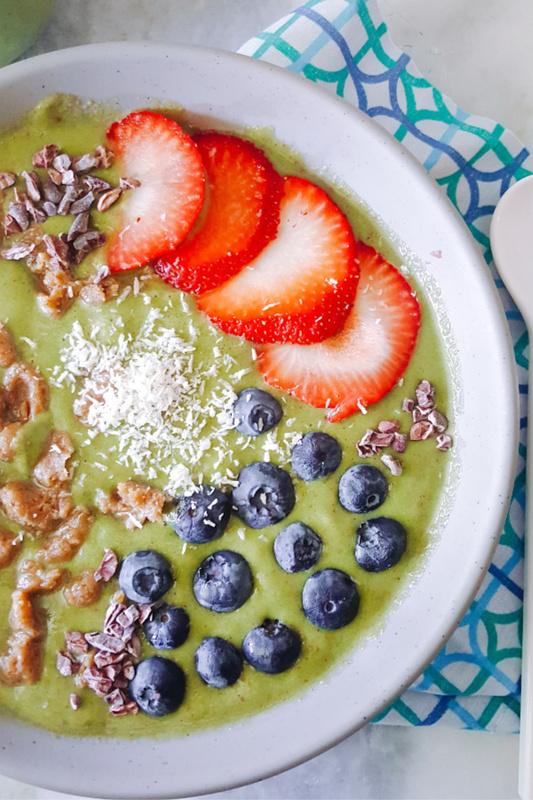 Just take a look at that Apple Pie Smoothie Bowl, doesn’t it look fun?. Most of the time, I skip the intros (sorry ya’ll). They are just too long and I just want to look at all pictures and start ear-marking the recipes I want to make. This book was different. Of course it’s filled with amazing recipes and photos but I actually read the Introduction part. First of all, Jackie’s intro was short and secondly, it’s uncomplicated! Who doesn’t like that? It’s basically a quick overview on why Bowl Food is awesome and how you can become a master of your own Bowl Food recipes. I want to be a MASTER! Teach me your ways, Jackie! Dessert bowls- Amaretto Cherry Ice Cream anyone? Bowl essentials for some extra tips and tricks. 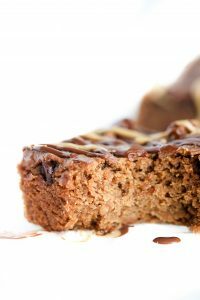 All the recipes are vegan, however, if you have other special restrictions, you may have to change a thing or two. Gluten, soy, some nuts and sugar are used in certain recipes in this cookbook, however, the recipes are clearly labeled what they are “free” of. Substitutions are given at times which is helpful, but as always, make changes when necessary to fit your specific diet. For us, the recipes are already dairy, egg & fish free, but since we MUST avoid nuts, I simply have used seeds and nut-free butter instead. Everything is adaptable, as you will see in the Apple Pie Smoothie Bowl recipe I included below! As part of Vegan Bowl Attack’s blog tour, I’ve chosen to make a recipe that anyone can make. This recipe is healthy, delicious and all those spinach greens made me feel like Popeye afterwards. Vegan Bowl Attack is filled with delicious Bowl recipes, including this Apple Pie Smoothie made with fresh apples, bananas & spinach with swirls of cinnamon. It’s a perfect, power packed, nutrient filled way to change up your breakfast! 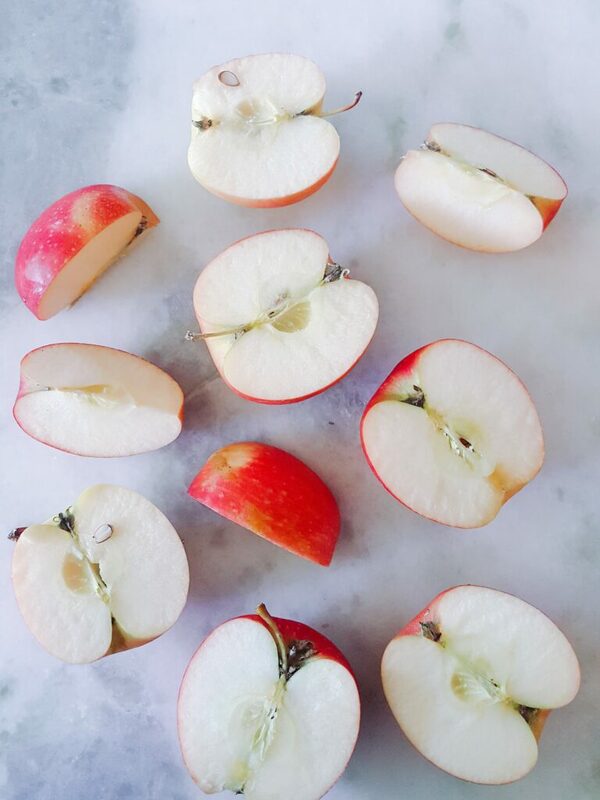 Place all the ingredients in a blender, in the order listed (apples in the bottom). Press down firmly in the blender so the apples create the liquid needed to purée the rest of the ingredients. If necessary, add a little bit of coconut milk for a smoother consistency. 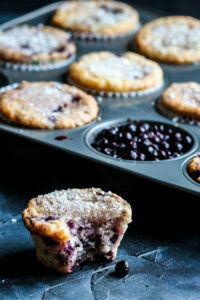 Pour into 2 bowls and store in freezer while making the topping. In a food processor, pulse the sunflower seeds, dates and cinnamon until small pieces form. Be careful not to over process into a paste. Shake topping over each smoothie bowl and serve. 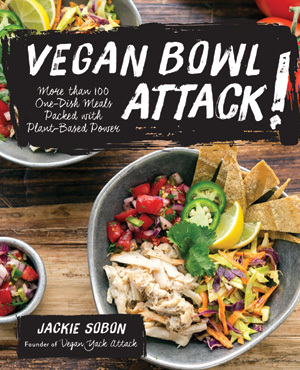 What recipes are you looking forward to trying from Vegan Bowl Attack!? 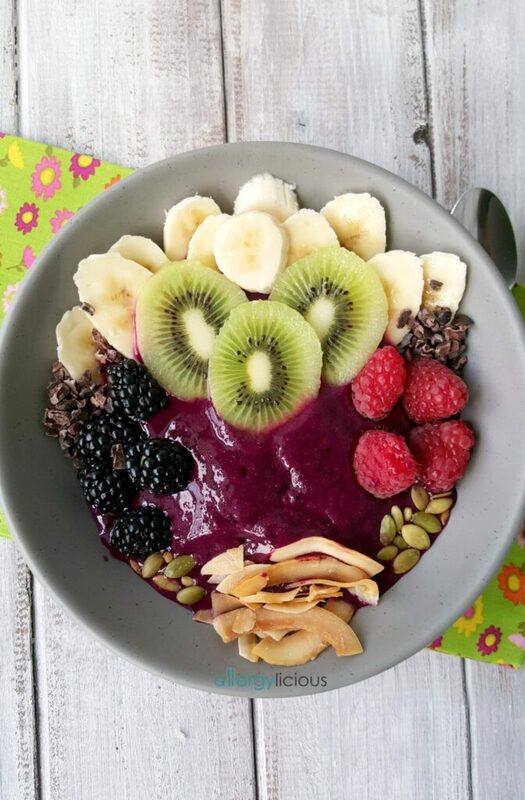 Have you tried eating a smoothie in a bowl before? Is there a “bowl” type dish that you love to make? 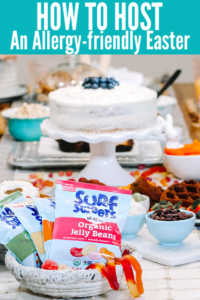 If you like this recipe & want to see more like this, simply subscribe to Allergylicious in the top box and you’ll get every new recipe directly to your inbox! Perfect for those of us who hate waiting! 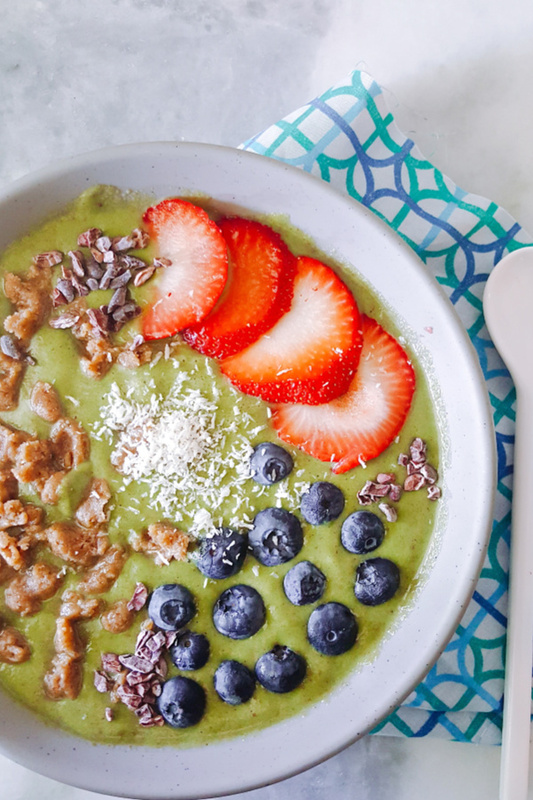 I love smoothie bowls and apple pi,e so this is just the most perfect breakfast bowl ever! I need to check Jackie’s book out! You’ll love it for sure. I had a hard time choosing which one to write about. Jackie’s book is so awesome! I was fortunate to be a recipe tester and got to try this smoothie bowl. It’s delicious! I’ve been impressed with the recipes in this book for sure. So easy and quite tasty as well. Mine too! A little more filling than a typically smoothie once you add some delicious toppings. Love Jackie and her cookbook! 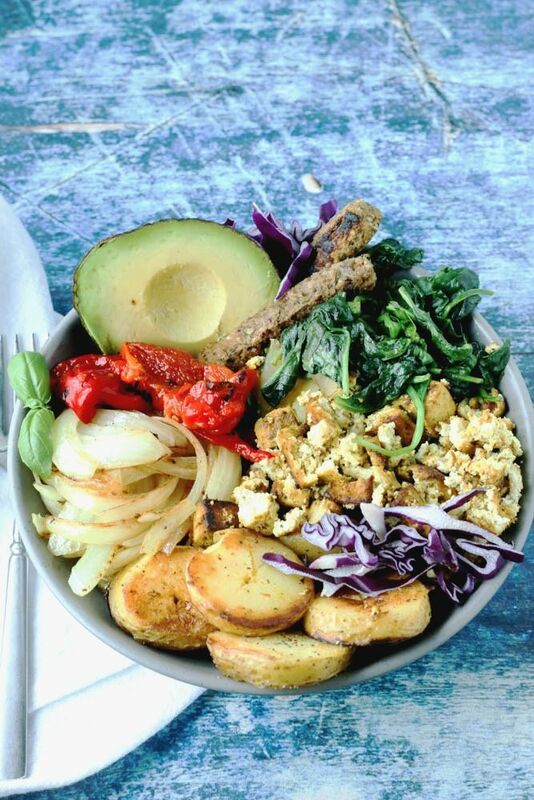 Bowl food is the best…makes things fun and uncomplicated! It really does make it uncomplicated! And agree, I just love Jackie’s cookbook.